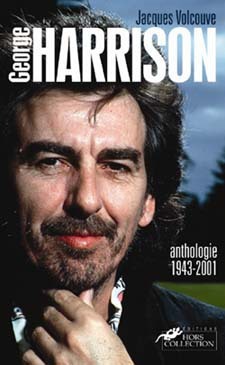 George Harrison passed away due to lung cancer ten years ago today, on November 29, 2001. George will, of course, always be remembered and beloved as the youngest member of The Beatles. But George was, besides that, a brilliant guitarist, a great singer, and a very gifted composer in his right. Let's take a look at a few facts you may not know about "the quiet Beatle." * George's favorite color was purple. He loved Formula One racing, egg sandwiches, and watching Monty Python's Flying Circus on TV. His favorite movie was Mel Brook's The Producers (1967). * George's birthday was a bit nebulous. For most of his life and career, George thought his birthday was February 25, 1943. (Hundreds of Beatle's book state this date.) But near the end of his life, George changed his story and said his actual birthday was February 24, 1943. A family document revealed that he was born at 11:50 PM on the 24th. * George and Paul McCartney were the first two Beatles to meet. The two rode on the same school bus in 1954. Paul was 12; George 11. Before this, George and John Lennon had gone to the same elementary school (Dovedale Primary School) for three years but never met there. * George was the original "prolific" Beatle composer. Although everyone knows John and Paul composed a great majority of the classic Beatles songs, George co-composed the first two Beatles songs on the record. In 1958, at their very first recording session, the Beatles (then called "The Quarrymen") played the Paul McCartney-George Harrison song "In Spite of All the Danger." In their next early recording session in 1960, the band played a John Lennon-George Harrison instrumental called "Cry for a Shadow." 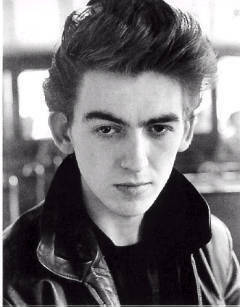 * He officially joined the Beatles ("The Quarrymen") on February 6, 1958. He was only 14 at the time. George briefly changed his name to "Carl Harrison" (in honor of his idol, Carl Perkins) for an early tour of Scotland in 1960. * George's "first time" was with a German prostitute in Hamburg. He was 17. After the act had been finished, the other three Beatles (John, Paul, and then-drummer Pete Best) applauded heartily. George didn't know they were in the room. * He wrote his first "official" Beatle "Don't Bother Me" (it was featured on With the Beatles, their second album) when he was sick in bed. * George became a devout vegetarian at the age of 22 in 1965. According to his ex-wife Pattie, he would allow neither meat nor fish to be brought into their home. * He gave a slang word to the national vocabulary. 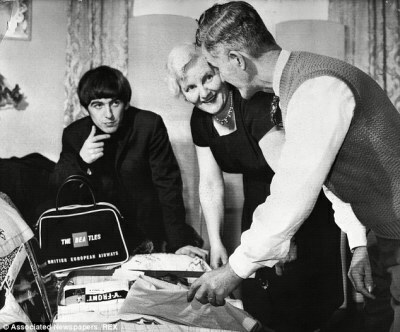 In The Beatles' first movie A Hard Day's Night (1964), George used the word "grotty" to describe some items of clothing. "Grotty" (meaning "grotesque") caught on as an actual slang word frequently used in the sixties. It is still used, albeit sparingly, to this day. According to John, George "used to cringe every time he had to say it." * He was the "best Beatle actor." Well, at least according to the director of the boys' first two films. Richard Lester, who directed both A Hard Day's Night and Help! (1965) Named George as the best actor of the foursome. According to Lester, in A Hard Day's Night, George "nails every line." * He was the first Beatle to have a number one song as a solo act. "My Sweet Lord" hit the #1 spot on the charts in December of 1970. * A versatile musician, George played 26 different instruments. 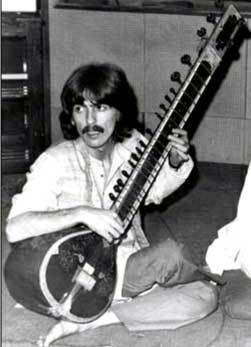 Every Beatles fan knows George could play the guitar and the sitar. But he was also well accomplished on the conga drum, the African drum, the xylophone, violin, harmonica, marimba, and glockenspiel. * George's greatest joy was gardening. He claimed to have "planted 10,000 trees" in his lifetime. In 1980, he published his autobiography I Me Mine. The book was dedicated "to all gardeners everywhere." * He put up $4 million "to see a movie." When the Monty Python comedy troupe was having trouble getting their movie The Life of Brian (1979) financed, George mortgaged his home to help finance it. He said he gave them the money "because he wanted to see the film." According to Monty Python member Eric Idle, this remains "the most money anyone ever paid to see a movie." * As we all know, George passed away from cancer in 2001. His mother, Louise, had previously died of the disease in 1970. 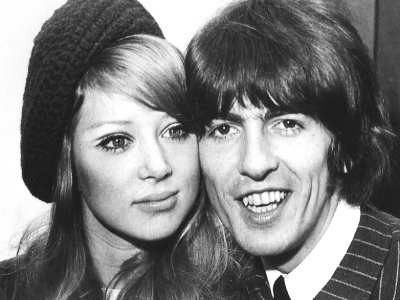 George wrote the song "Deep Blue" in her honor. 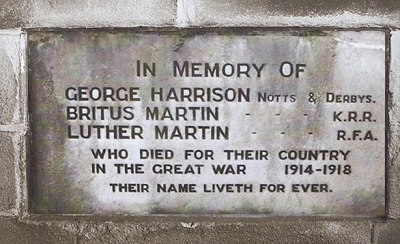 His dad, Harry Harrison, also died of cancer in 1978. The night of his father's passing, both George and his wife Olivia awoke in bed and viewed the same blue light. They both testified they saw a vision of Harry smiling at them.